Are you not sure if you or your house are in fact being haunted? A haunting attacks all 5 senses, and breaks the defenses of the haunted on a mental, physical and spiritual level... Here is the Dark History checklist of occurrences you may experience in a haunting. Often times it starts out small. That feeling of being uncomfortable, and even scared. The hair raises on your arms and neck and goes away. Their energy effects your body. Sometimes you can feel their cold stares and breathing down the back of your neck, or the cold breath on your face. That's when they come to you. Usually dismissed as the neighbor or a bird hitting the house, or any other logical explanation to the skeptic mind. But at times this is step number two in a haunting. Knocks, bumps, bangs, scratches on the walls and furniture as well. Whatever they can use to begin to get to you, whether a photo rapping against the wall in a vacant room, or phantom music, the sound of doors opening and closing. The 3 knock is not always true, you can experience a single knock depending on how tricky entity is. 3. Phantom Smells and Tastes. Unexplainable smells with absolutely no visual reference. Smells of burning, excrement, blood rot, and death. A smell may enter the home with the spirit, sometimes fragrant, other times nasty. You will know them by the smell as they begin to impress their intention. Sometimes the haunted will experience a strange taste when drinking water, or eating, and sometimes waking with an unexplainable nasty taste in their mouth. Often times keys, money, cards, and other small objects will go missing, and then reappear in the same spot you left them or in an entirely different place altogether. This is when they decide to start playing with you, and there is absolutely nothing you can do about it. Even as far as taking objects from your pockets as you sleep. 5. Bird and Insect Swarms. The Electromagnetic field begins to rise, and bees begin to encircle, or house flies, or even birds, all begin to arrive in great numbers. They will not go away. They are attracted to you or your home because of the level of energy around you. Inexplicably attracted, they just begin to show up one day. Test your lights and make sure it is not a power surge, or power loss, or bad wiring. If not it could very well be the oncoming of a full on haunting. Lights flicker, sometimes off for hours, sometimes dim out as energy is drained and they absorb power for their next interaction. If you have a dog or cat, you will begin to see them run for cover, you will hear a dog whimper and walk with it's head down and tail between its legs, or begin to bark. It can hear them as their ears are much more sensitive than ours, and can pin point the exact area of the manifestation. Cats begin to let out a hiss, growl, howl or even shriek. Sometimes with hair standing on end and begin to run away in terror. 8. Object Movement and Breakage. As the manifestation grows into something powerful, the spirit becomes bold and will begin to move objects in front of you in attempt to scare the living daylights out of you. When this happens people begin to believe it may be a poltergeist with all the noise it makes, and even to the point of throwing things and breaking glass, knocking things down, and breakage of things you love. Be on the lookout for broken crucifixes as this points to a demonic. The sound of voices begin to occur in the home, moans, breaths, mumbled talking and sometimes chanting. These voices occur with no visual reference, but can be heard all over the home, from basement to to attic. Sometimes occurring as the family is entering the home, sometimes as the haunted is waking. Orbs, black orbs, smoke, mist, shadow, half torso, full torso, solid apparitions. The full on haunting. Visual encounter of an orb light, or black orbs swarming your home. Sometimes seen as a grey mist, and black smoke appearing for a second drifting quickly by. Shadows begin to be seen in the corner of your eye, and play tricks on you. Sometimes seen as a black mass with no real form, other times as a tall being, sometimes as a short being, all are associated with dark hauntings, and sometimes an omen of death. Half torso apparition may not have the energy to form fully, sometimes a full to apparition can be seen, sometimes someone you know, most often a stranger in your home, other times seen as something as solid as you or I. The spirits can take on an intelligence that can interact with you, other times depending on the haunt, will repeat itself if you are in the house or not, as long as time and conditions are correct, this is called the residual. In the case of an intelligent haunting it can even have a conversation with you. Sometimes these spirits will appear and disappear fading slowly, or quickly out of sight into their surroundings. Sometimes even what is called a doppelgänger will appear in the home, for example you are outside with your child, she goes inside, comes out gain and begins to play. You turn your head as the sound of the door opening, and here she comes out of the house, you turn and realize she hadn't come back out until now. 11. Nightmares/ Lack of Sleep. 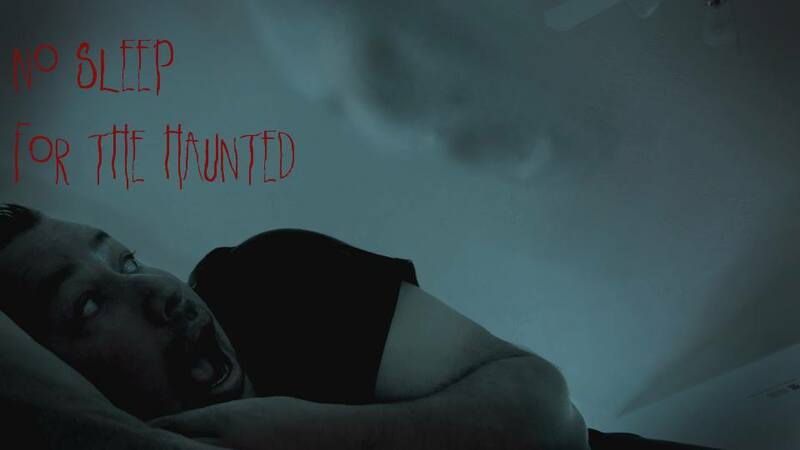 During a haunting you may have nightmares that never end, sometimes waking multiple times a night and going back to sleep into the same nightmare or into another. Other times it begins to keep you awake and break you down night by night. Lack of sleep will wear you down rather quickly for what they plan to do to you. Household accidents begin to happen, things that wouldn't usually happen, children running into furniture, people getting burnt, bruises, scrapes and cuts, all what seem to be your own fault, but rather are influenced by the haunter. The panic state and negative energy rises in the home, and falls take place down stairways, even things happen to your vehicle in travel, flat tires, engine failure, even animals and children running out in front of your vehicle. Next comes bodily harm, the haunted becomes bruised, pricked, scratched and cut without knowing how it happened. As an example, just standing in one place and then complaining of feeling a burning on the skin, only to find out you are severely scratched. Or waking in the morning with a puffy eye that then turns black. All forms of brutality in the spirit realm toward the affected person. Sometimes the haunted will also experience sexual attacks as they are wide awake or asleep depending on the type of entity that is wearing them down. In the old days these sexual spirits were called the Incubus and the Succubus. People claiming sexual attacks are definitely on the rise in recent hauntings, though most, but not all; I believe to be wishful thinking on part of the haunted depending on the intention of the person telling the story, whether for fame or storytelling purposes. Possession occurs when a demonic entity reveals it's true self. When the person is broken down and in a state barely able to defend himself, no comfort is found, no solace, no energy, no hope, the person is taken over and becomes owned by the demon and becomes a puppet, and the will is forced upon the victim. Thoughts and visions of killing and suicide enter the mind, and if nothing is done, his will becomes it's will and the person will soon destroy himself by whatever weapon, or location is available. Whether knife, gunshot, or simply jumping from a building. The possessed need to be exorcised before his life is taken away; exorcisms could take an hour to several weeks.